Nashville quintet releases "Break Up With Him" after huge response from fans, key stations; returns to No.1 on SiriusXM’s "The Highway Hot 45 Countdown"
Things are done a certain way in Nashville. Singles are usually chosen in boardrooms with executives checking off must haves and statistics. Old Dominion is circumventing that system this time around, releasing a single based on fan -- and program director -- demand. 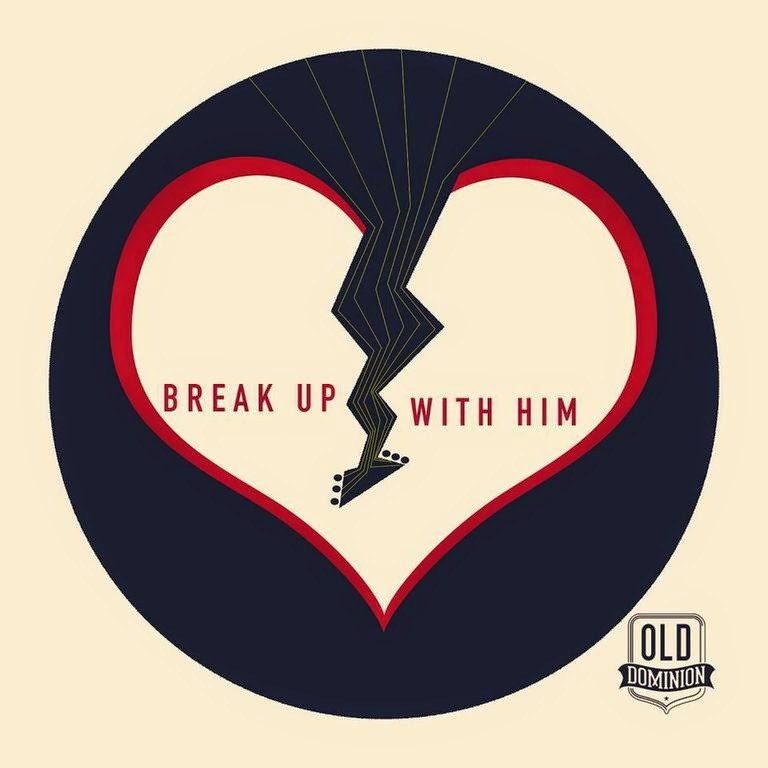 “Break Up With Him” is being rush released after early success at satellite and terrestrial radio as an “album cut” from Old Dominion’s self-titled 2014 EP. The song reached No. 1 on SiriusXM's "The Highway’s Hot 45 Countdown" in December and returned to the No.1 spot on the countdown this week. It was added at country radio stations in Seattle, Phoenix, Minneapolis, Milwaukee, Nashville, Chattanooga and Salt Lake City due to fan demand at live shows and through social media. "I've never done this before: Hear a song that's not a single and just go put it on the air and pound it,” says Ed Hill, Program Director at CBS Radio's KMPS in Seattle. And SiriusXM’s John Marks says, “The song is truly a breakout hit." A mix of rock, country and blues with a bit of hip-hop vibe thrown in, “Break Up With Him” was written with contributions from every band member and captures the Nashville quintet’s rakish charm and already accomplished songwriting craft. The rising country act has already scored songwriting credits with many of the genre’s top stars, including Luke Bryan, Kenny Chesney, Keith Urban and its EP impressed critics, who are now paying close attention. Rolling Stone Country called Old Dominion a country artist you need to know; Billboard and The Huffington Post put the group on their 2015 watch lists, and Bobby Bones named Old Dominion one of “Ten Artists of 2015 You’ll Thank Bobby for Later.” The group also landed an opening gig on Kenny Chesney’s The Big Revival Tour -- marking the band as the first independent act to ever be part of a stadium tour. All this new attention helped push “Break Up With Him” to sales of more than 4,000 digital downloads per week since the holiday period began. For more information about Old Dominion, “Break Up With Him” or The Big Revival Tour, visit www.olddominionband.com and www.facebook.com/olddominion or follow @OldDominion on Twitter and @OldDominionMusic on Instagram.